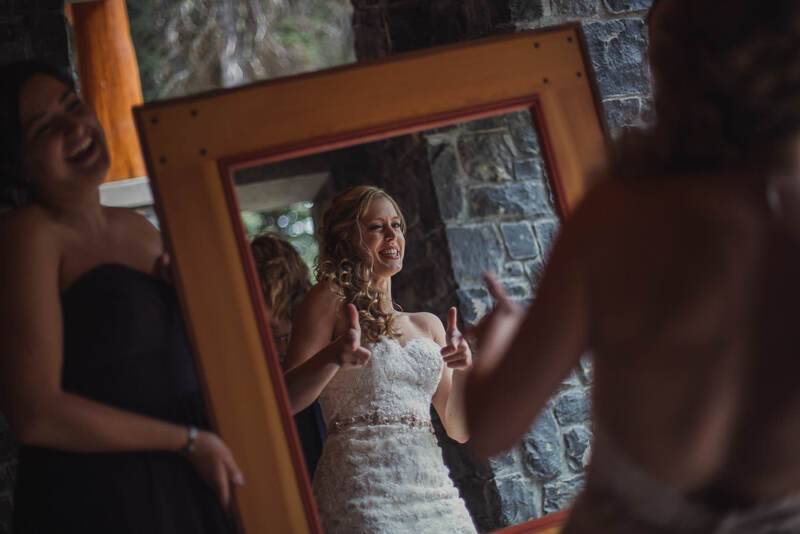 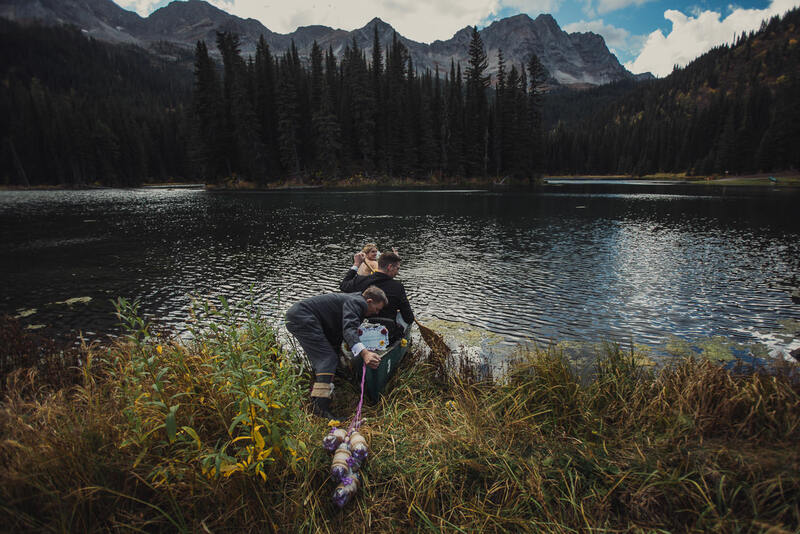 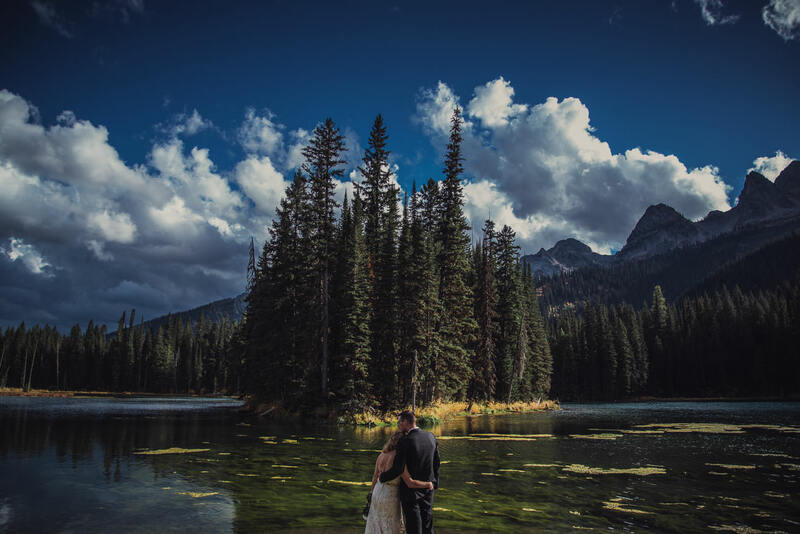 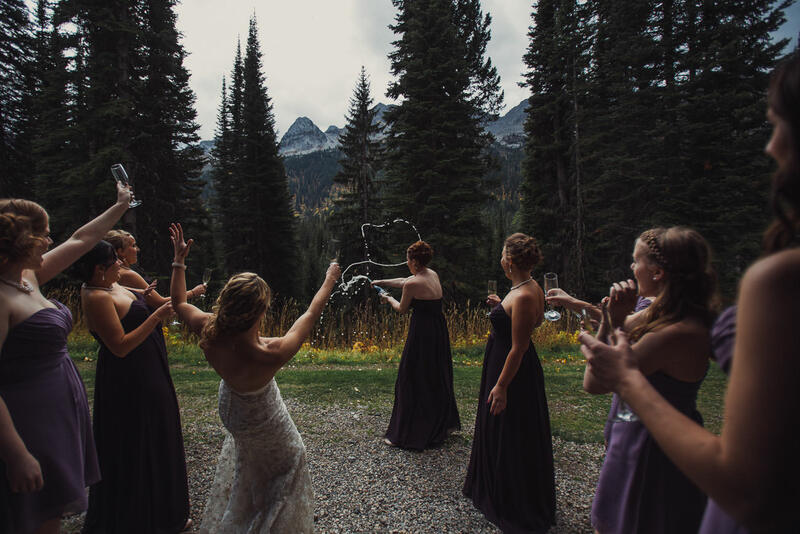 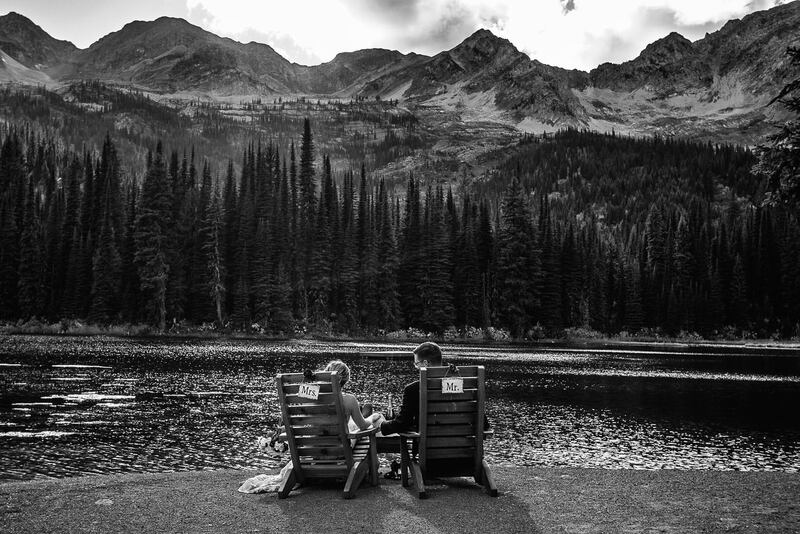 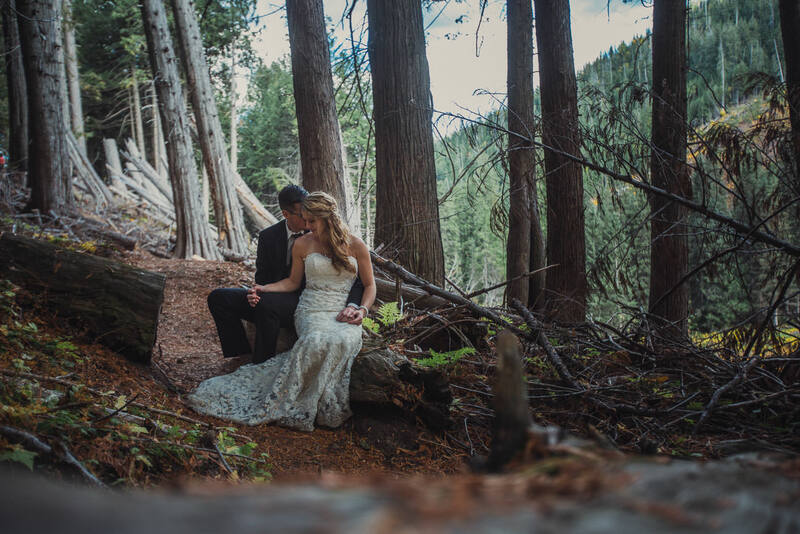 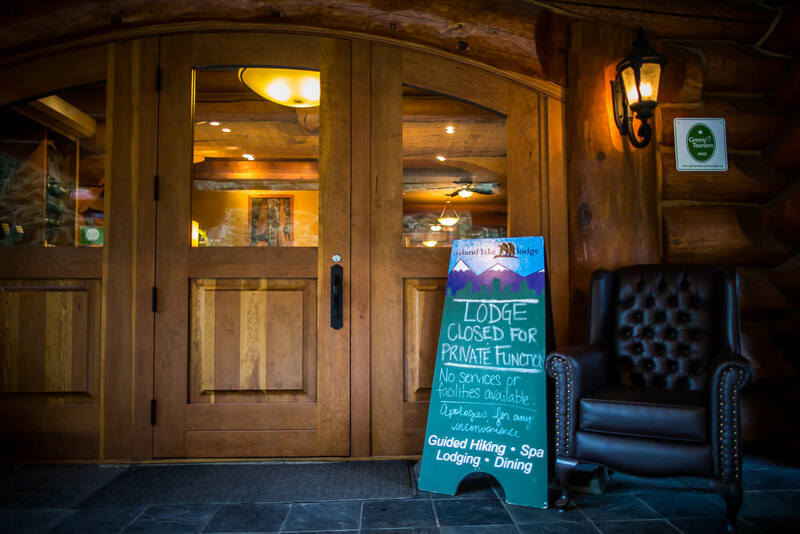 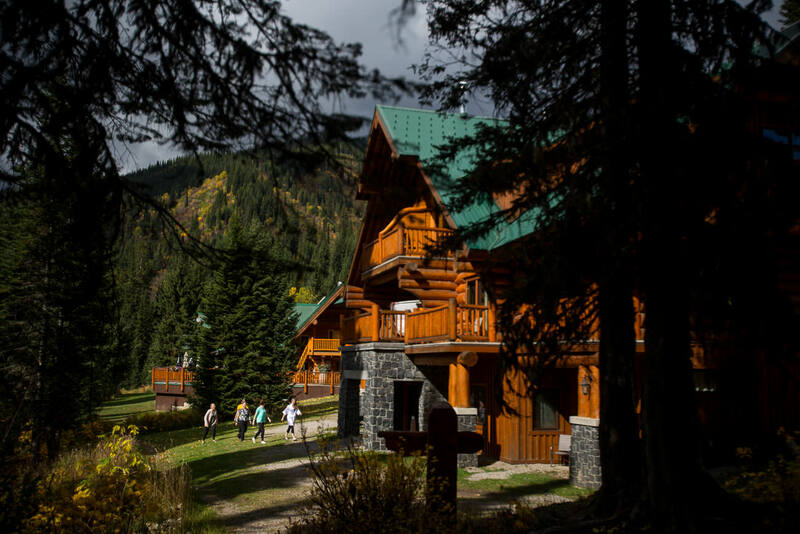 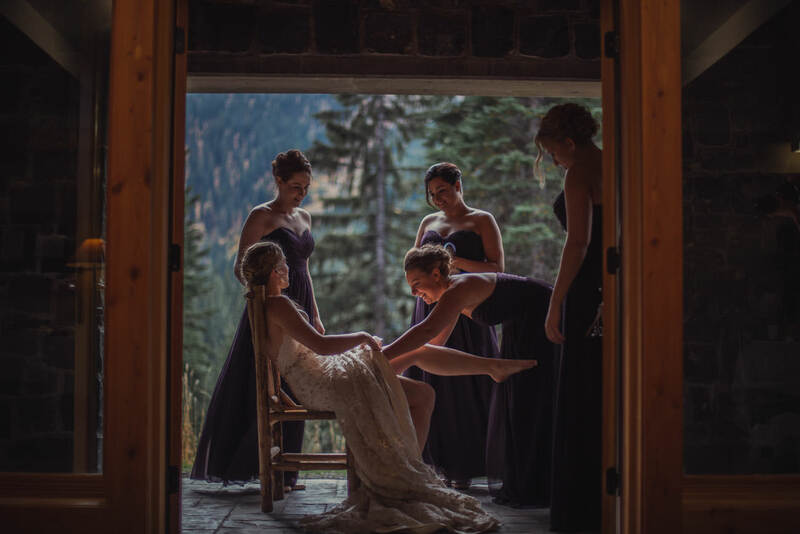 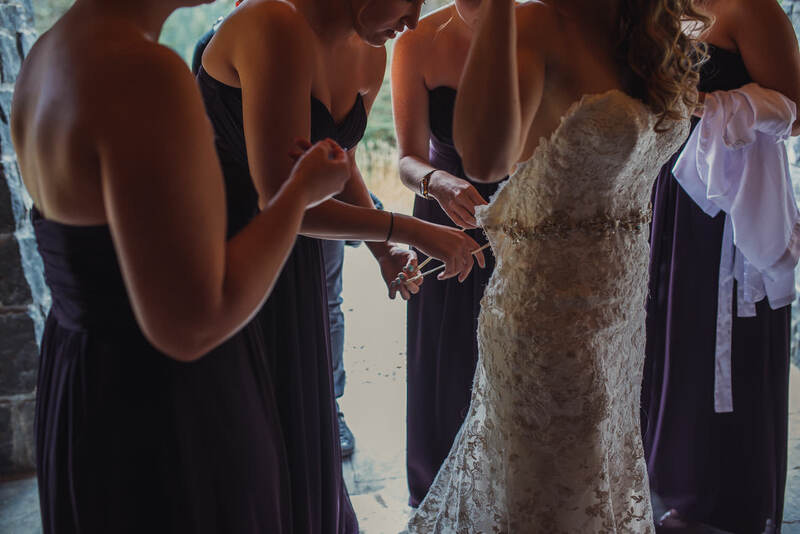 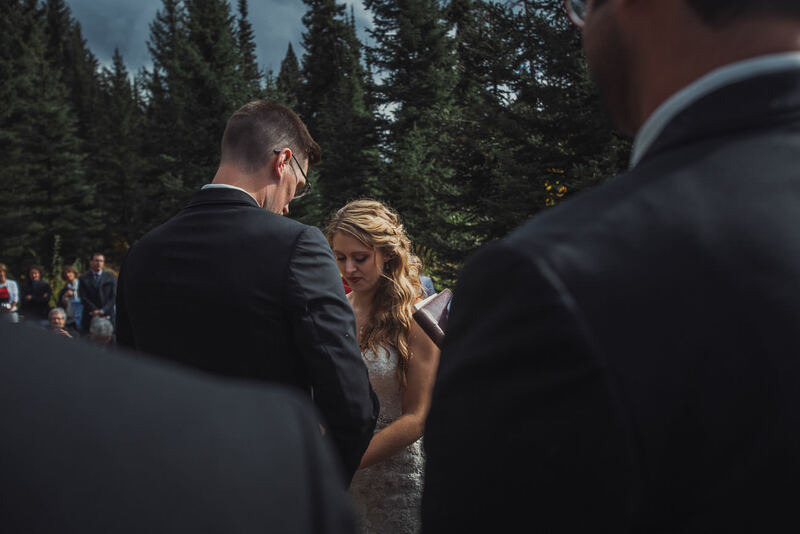 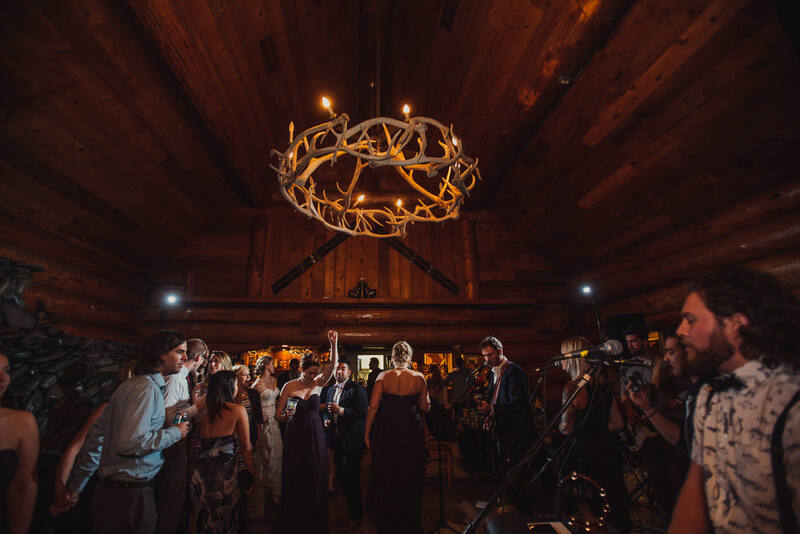 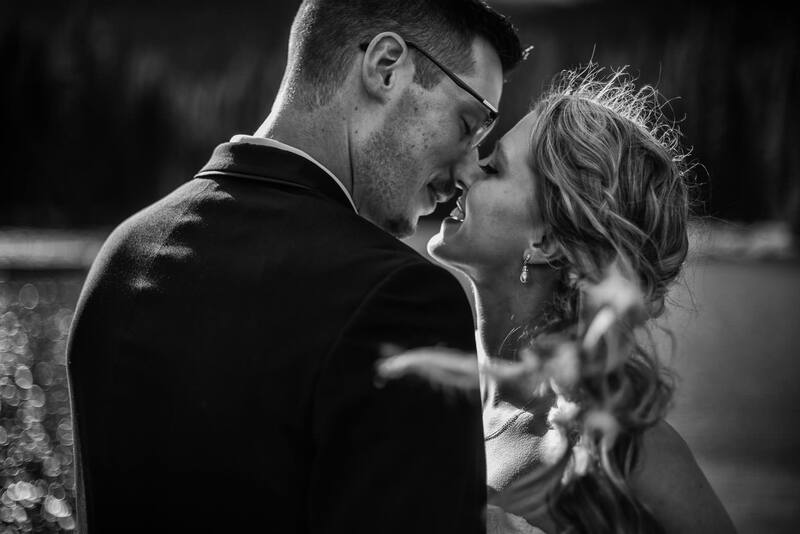 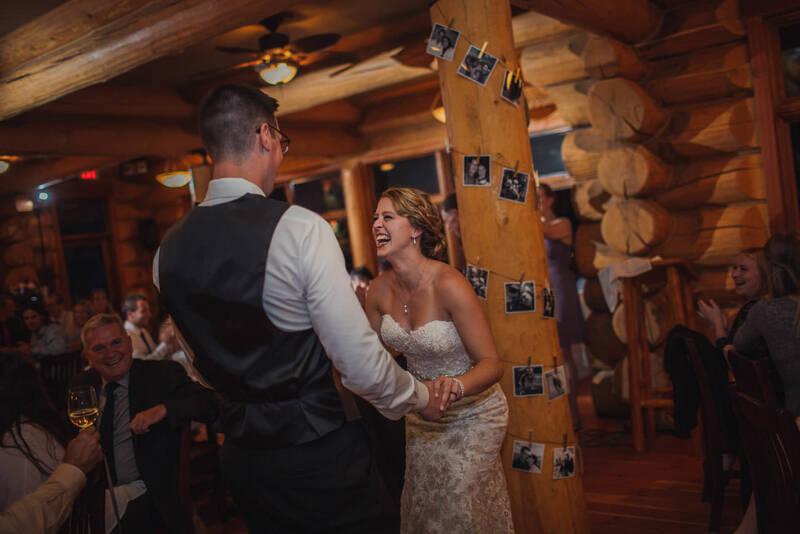 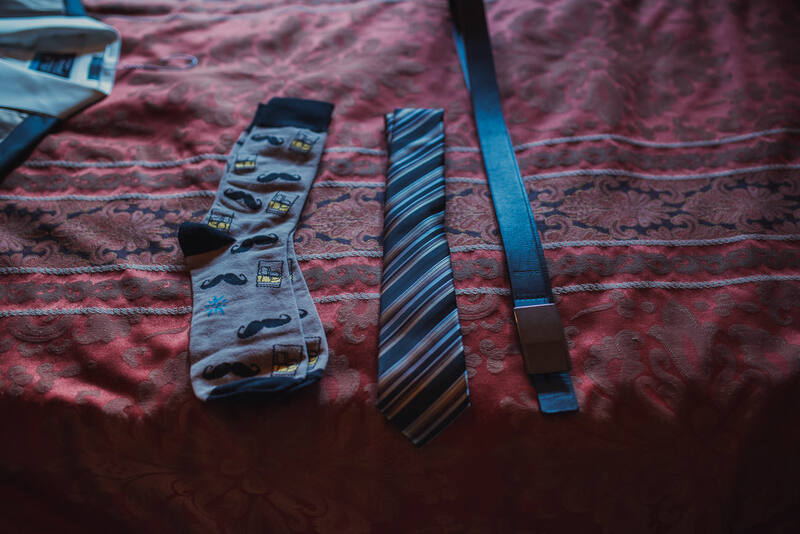 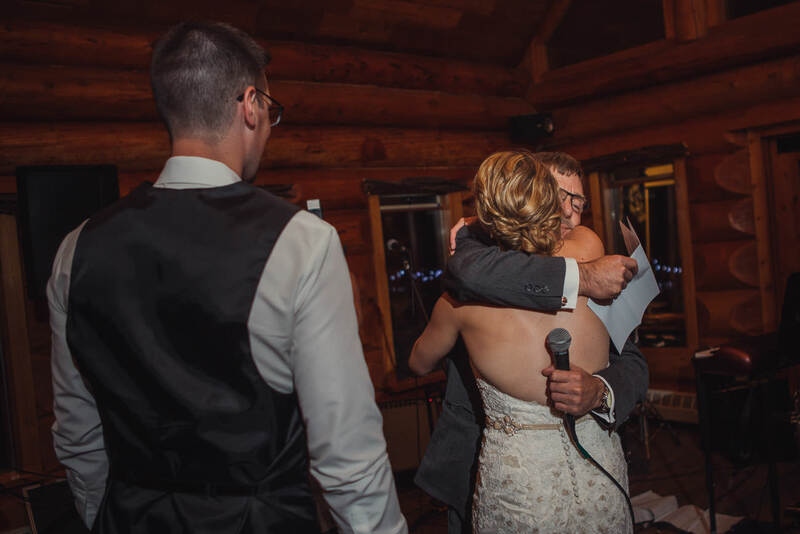 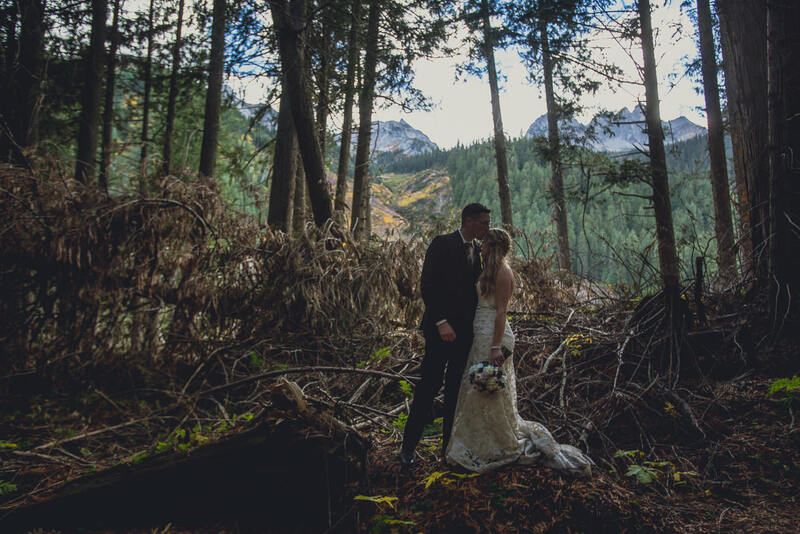 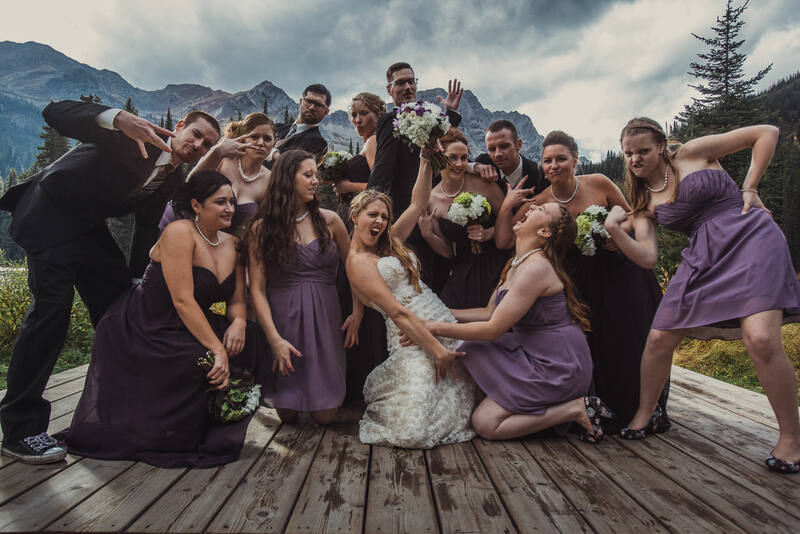 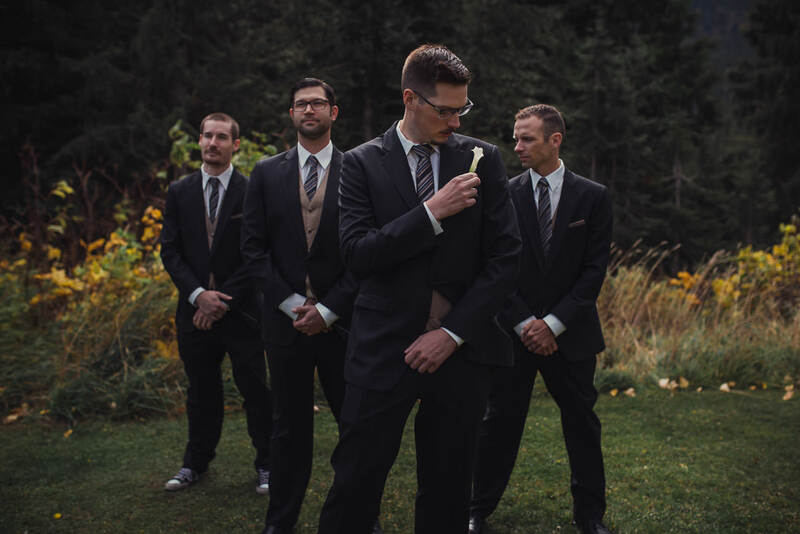 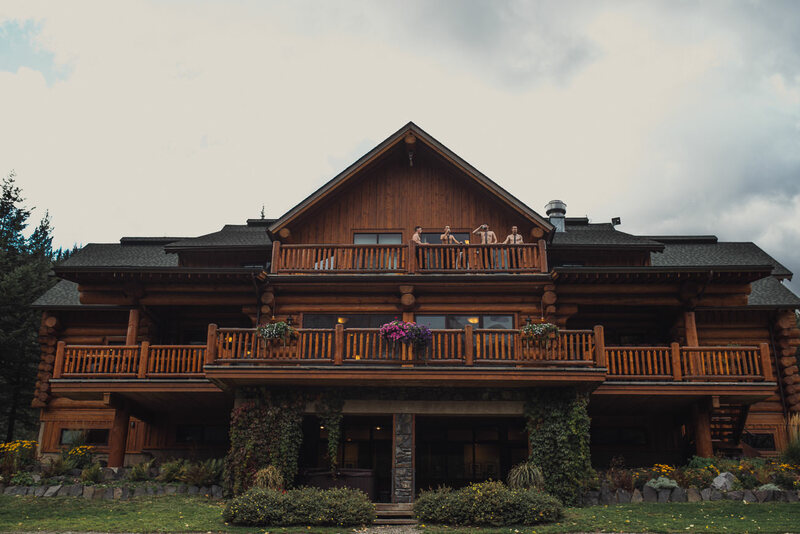 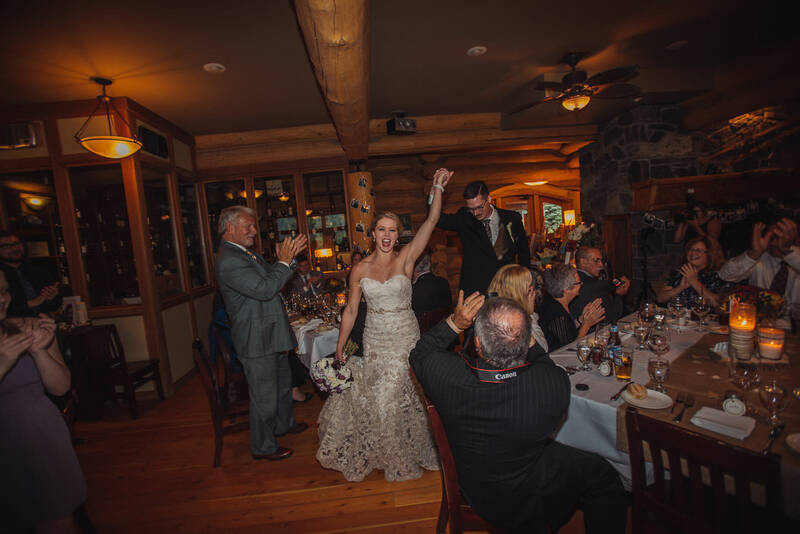 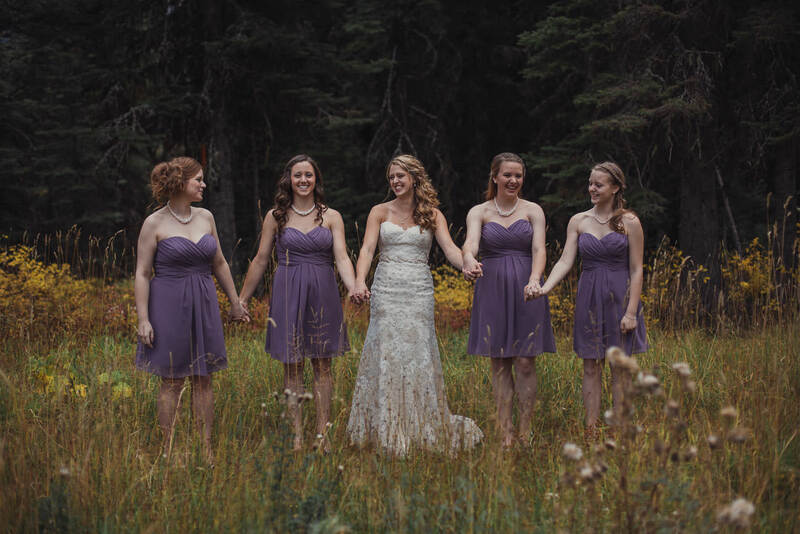 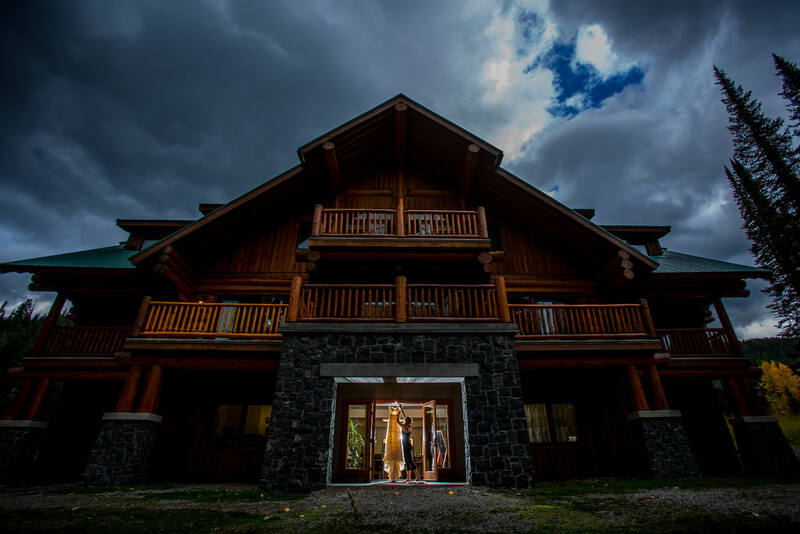 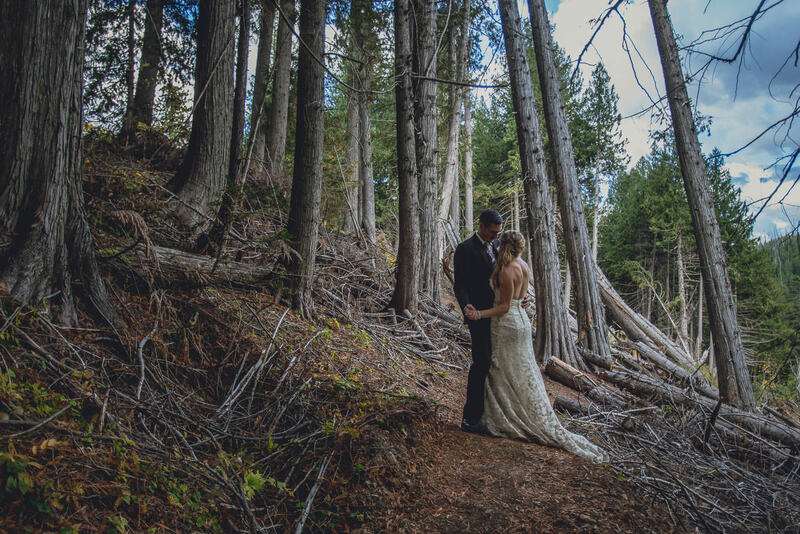 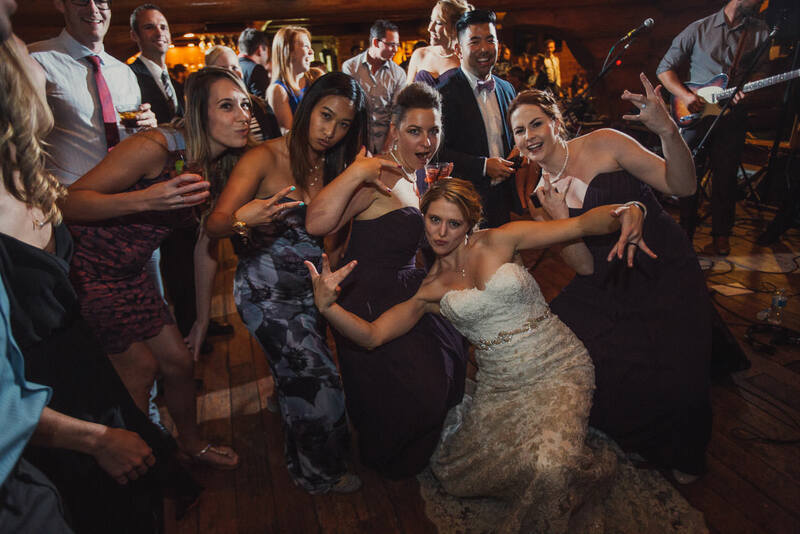 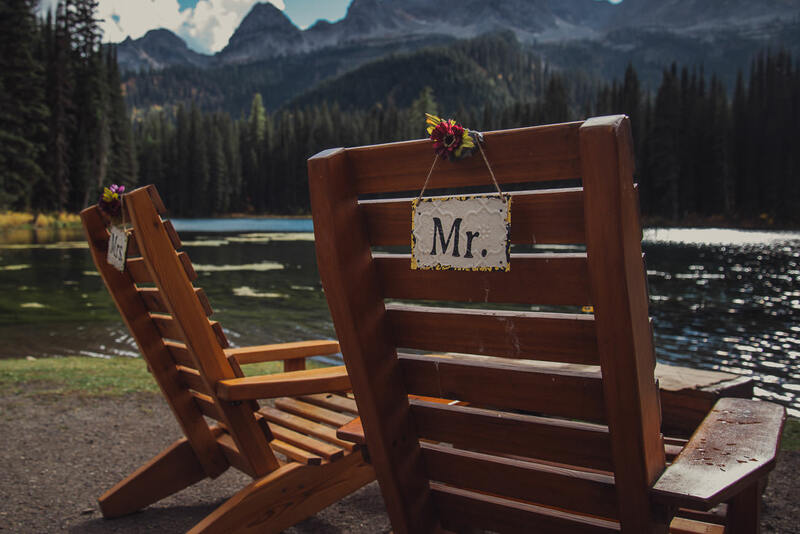 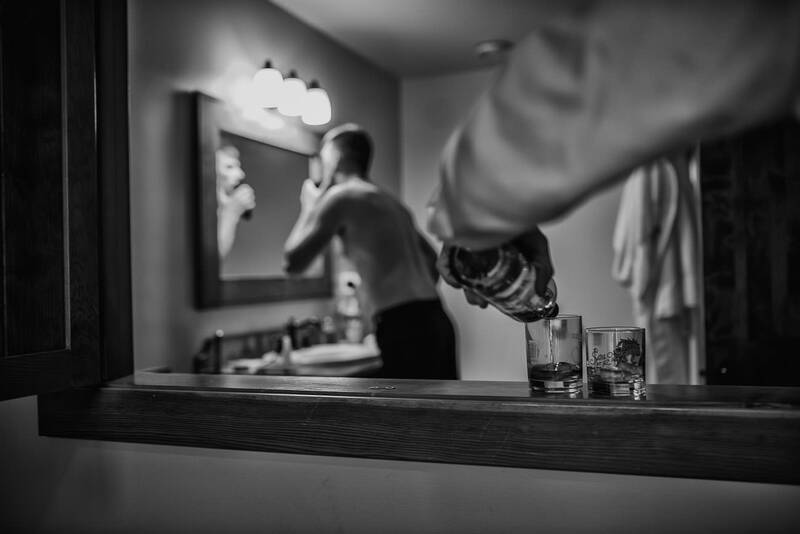 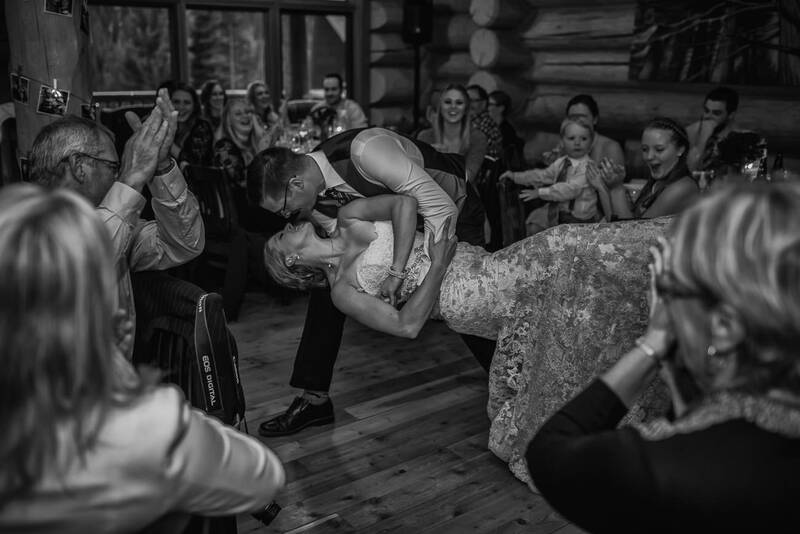 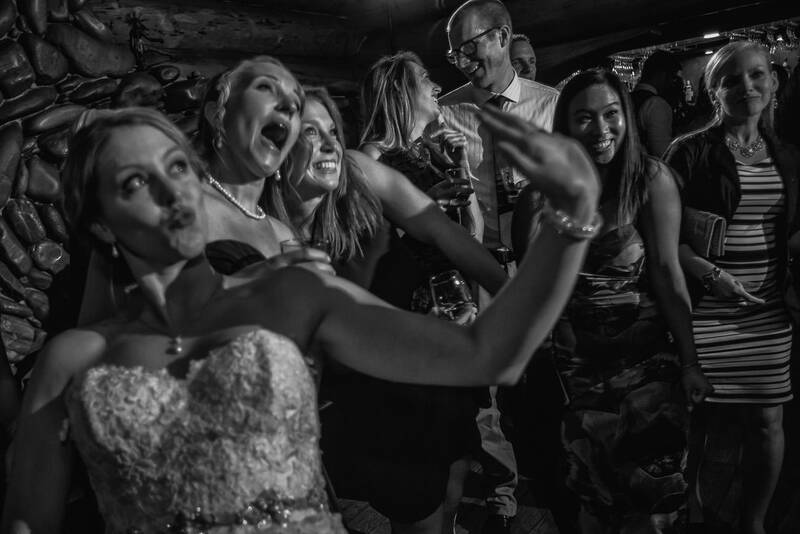 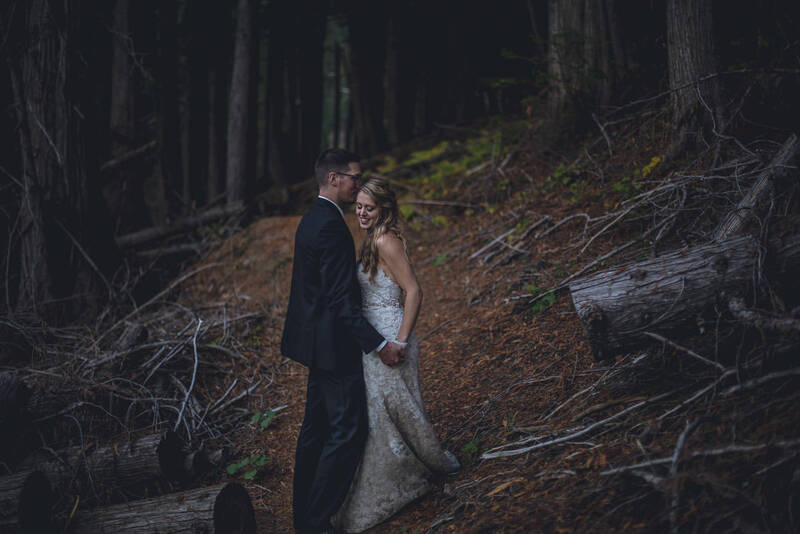 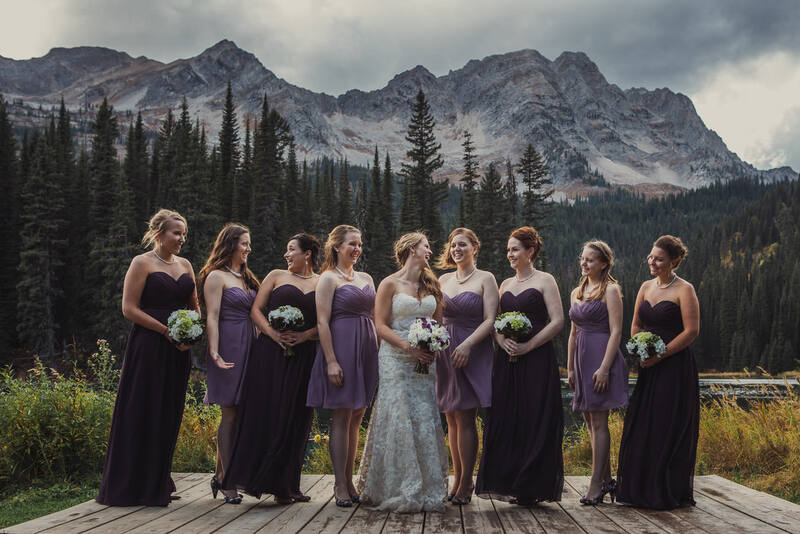 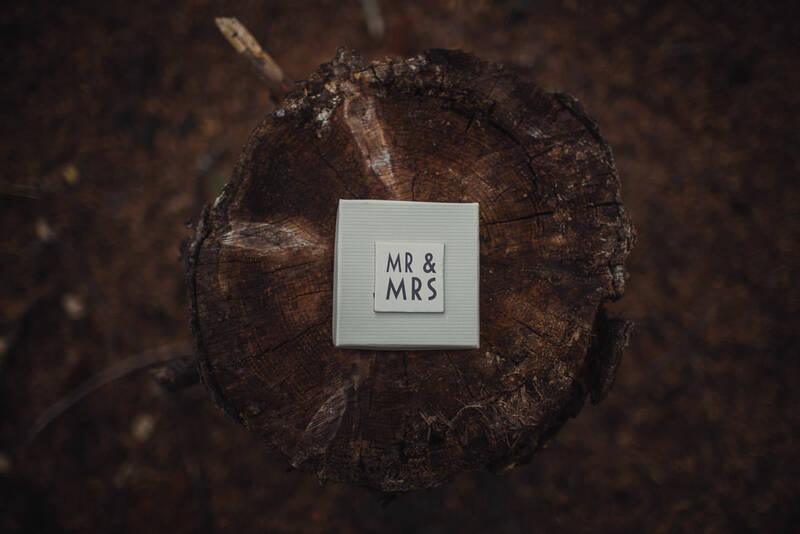 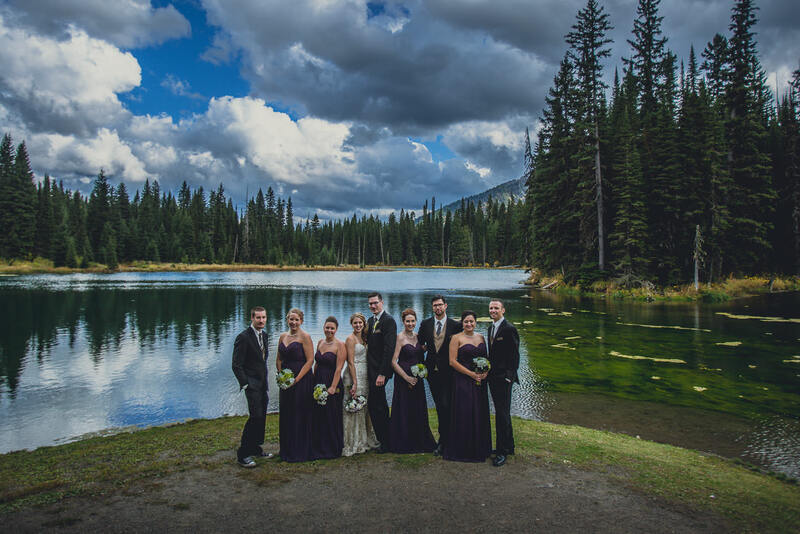 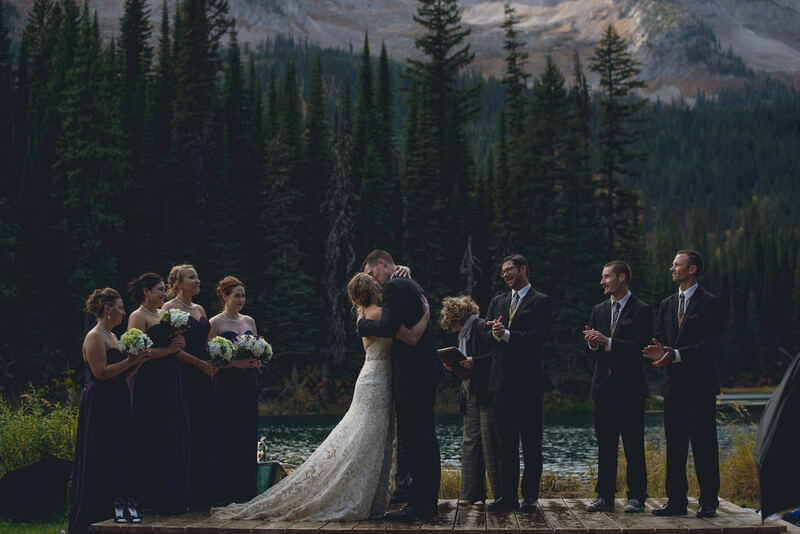 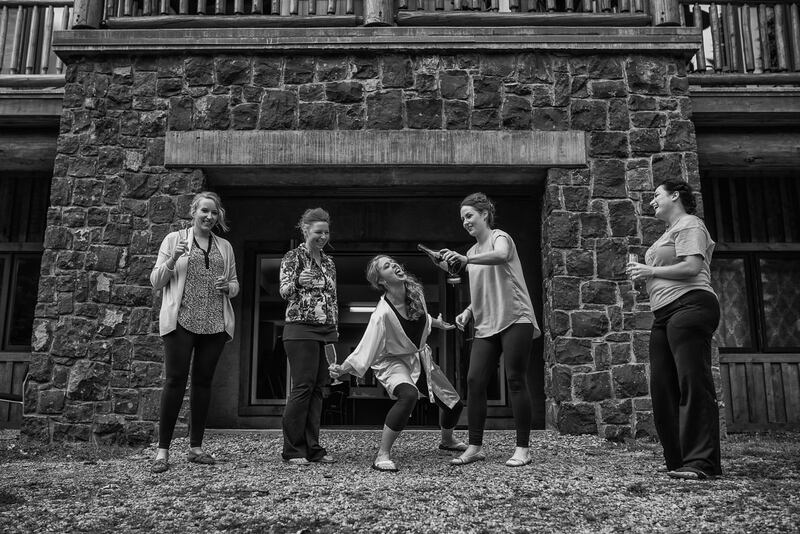 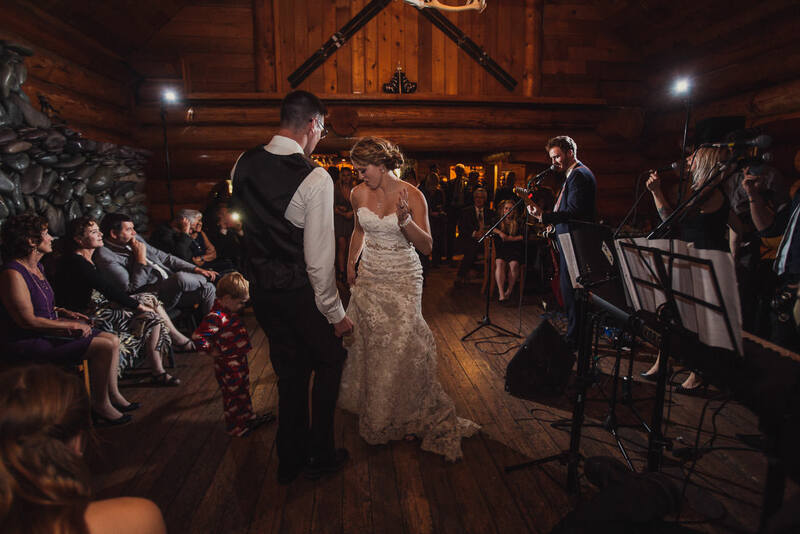 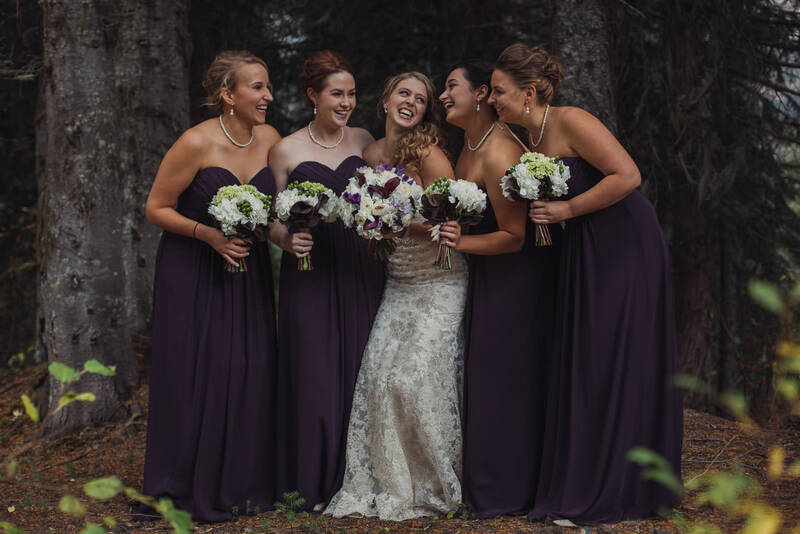 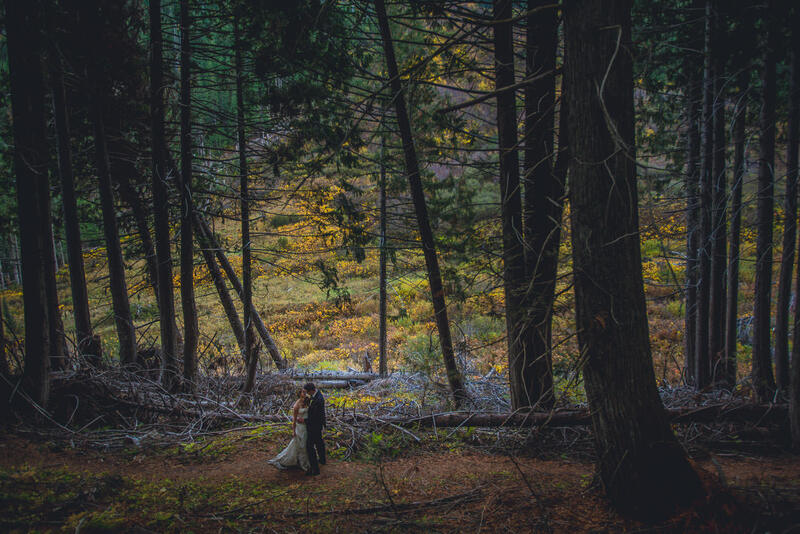 Finding the venue for their rustic mountain wedding, the Island Lake Lodge Resort, was easy. 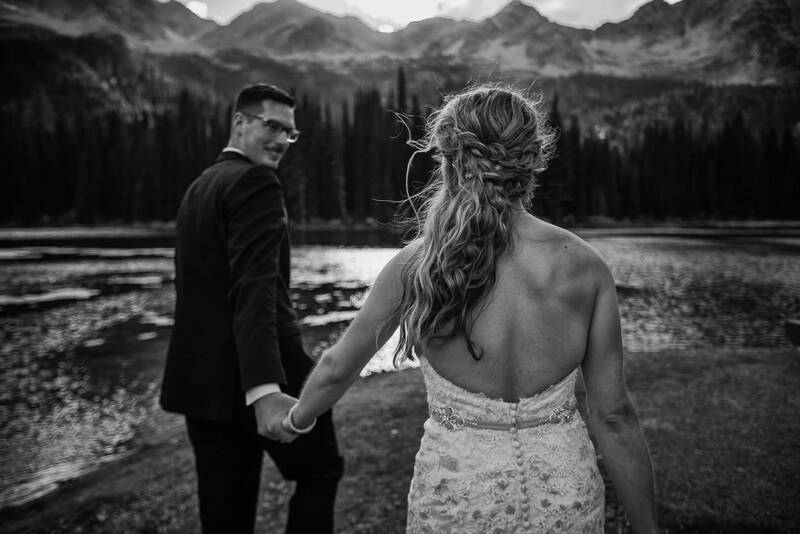 It was a simple choice from the moment they saw it – isolated in the middle of the Rocky Mountains and away from the hustle of day to day life. 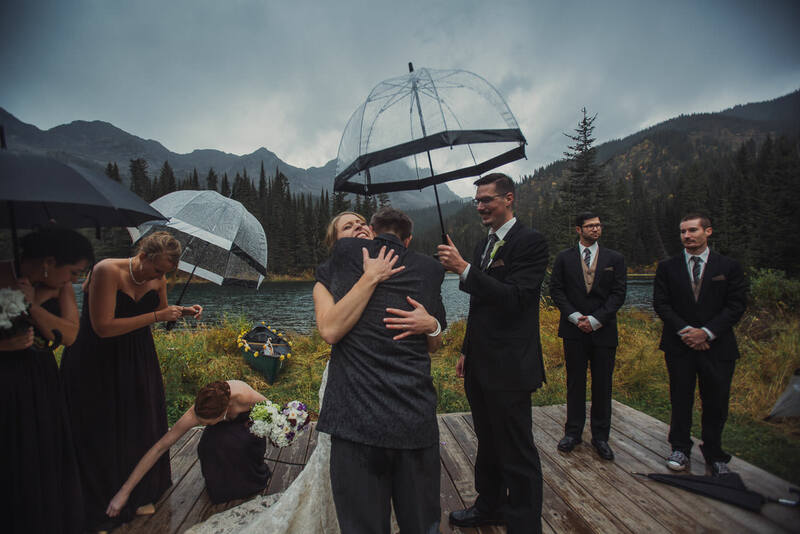 They ended up with a little more adventure than they may have planned, but what became clear was that their day was going to be a hit regardless of what the weather had in store. 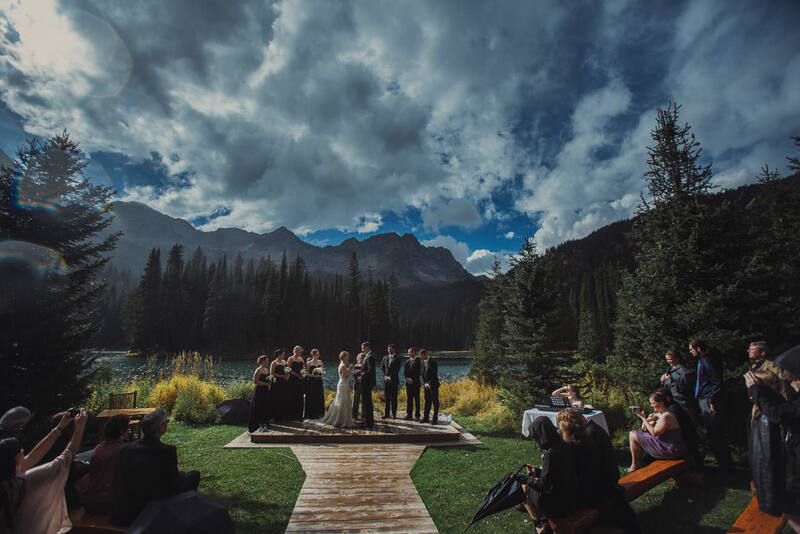 And the weather definitely had a role to play on this day, as you will see. 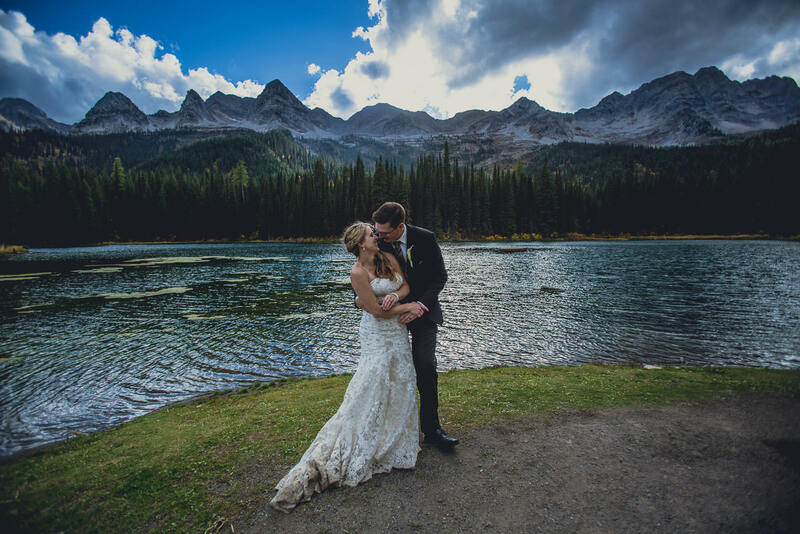 Their plans called for an outdoor ceremony, overlooking the lake and with the glorious mountain backdrop in the distance. 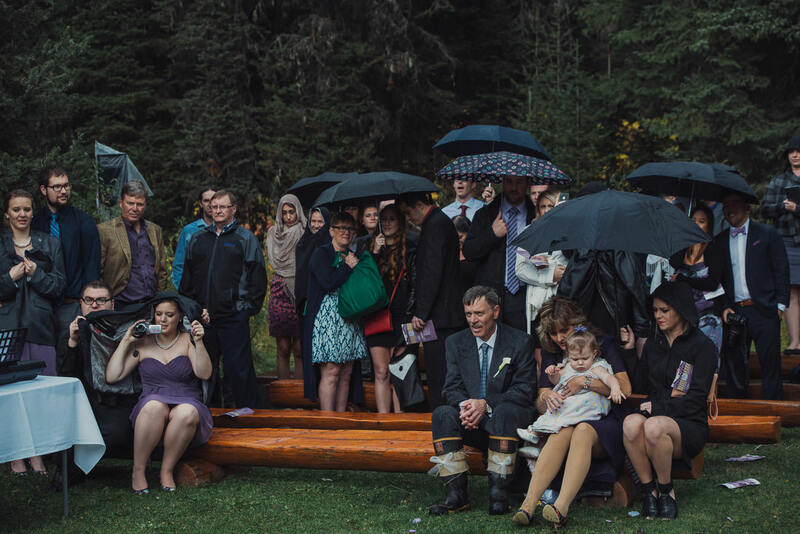 Rain threatened all morning, making brief but loud appearances, and made the outdoor ceremony a last minute decision. 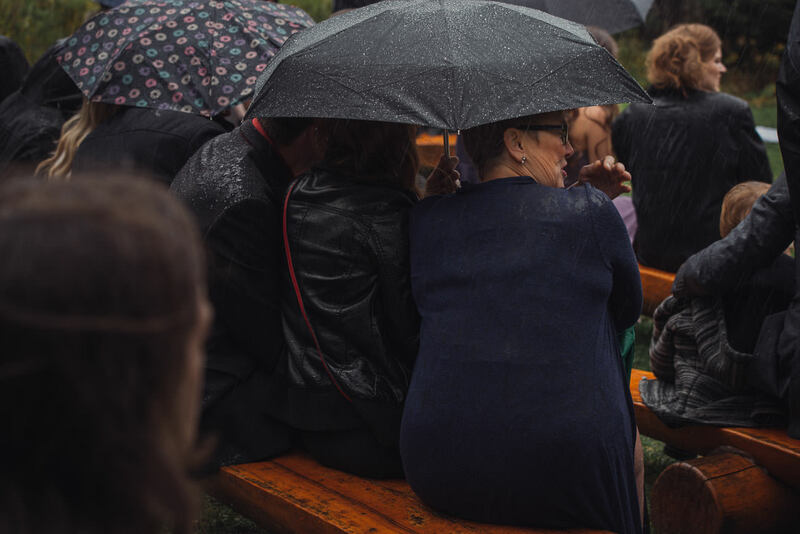 Live music was to be played, and the location is far enough away from the protection of the main buildings that if it did rain, everyone was going to get wet. 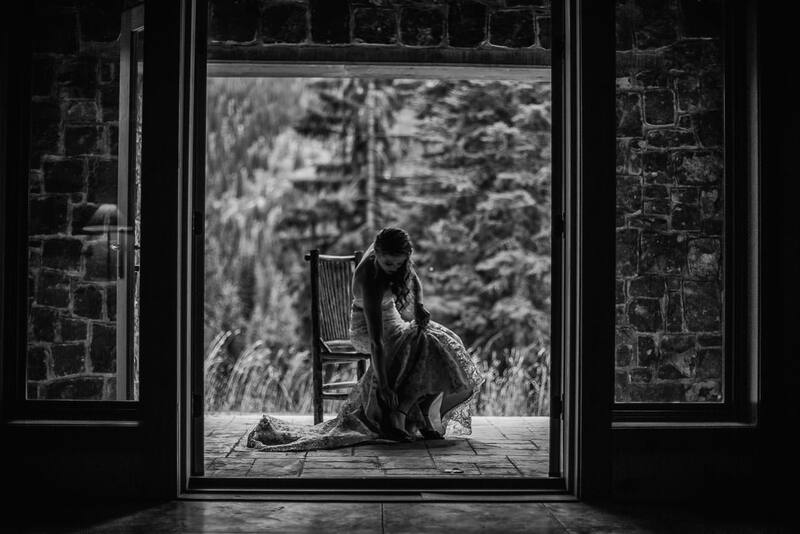 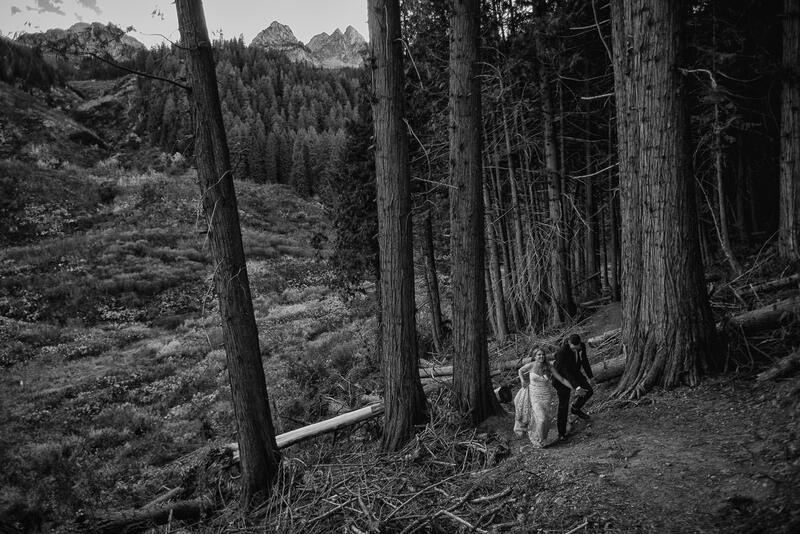 “We didn’t come to the mountains to get married indoors”, Dani remarked. 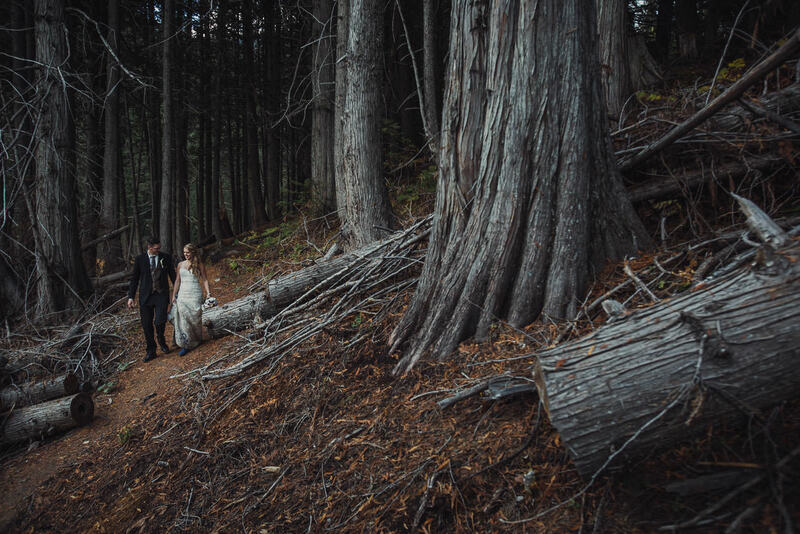 So, with a brave attitude and a glow about her, she set off determined to get married outside. 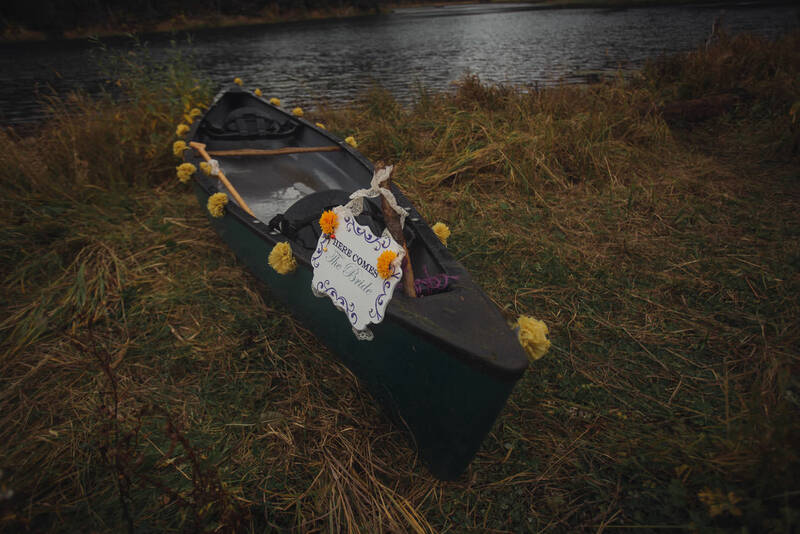 But not only that, she had also planned to make her entrance to the wedding ceremony by taking a canoe ride across the lake with her father. 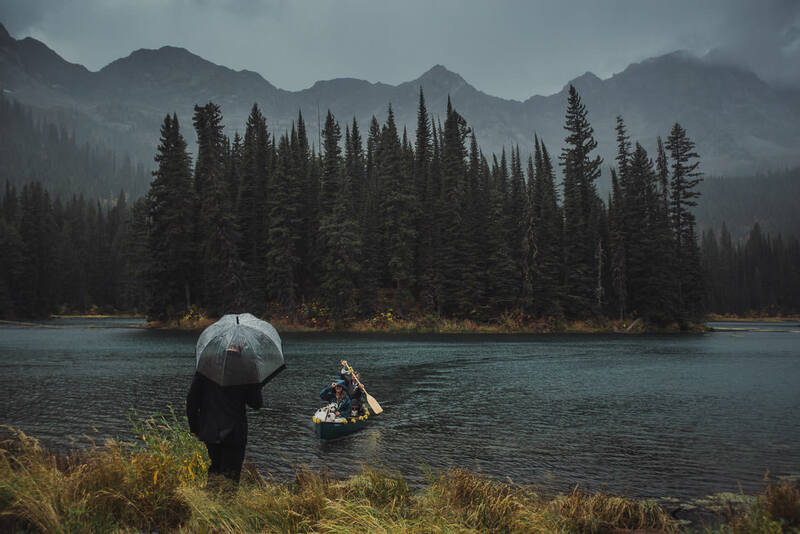 And there is no hiding from the rain while you float in a canoe in the middle of a lake. 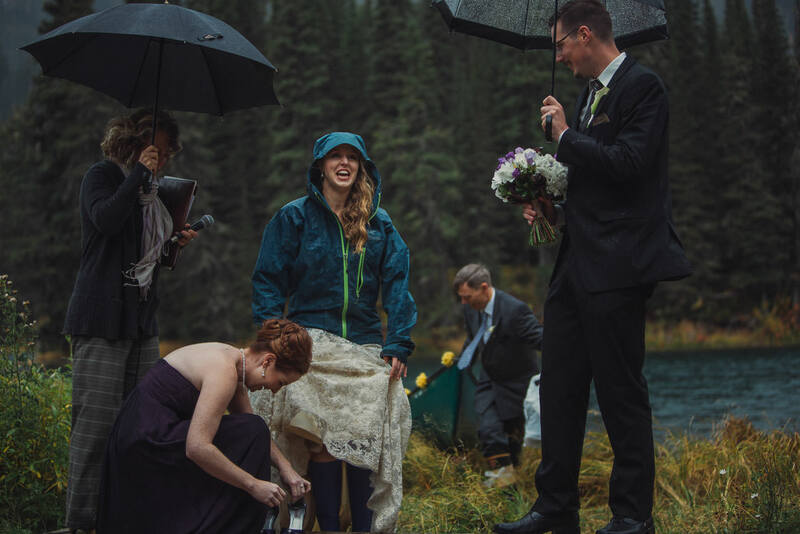 Just as the ceremony was getting underway, the skies opened up. 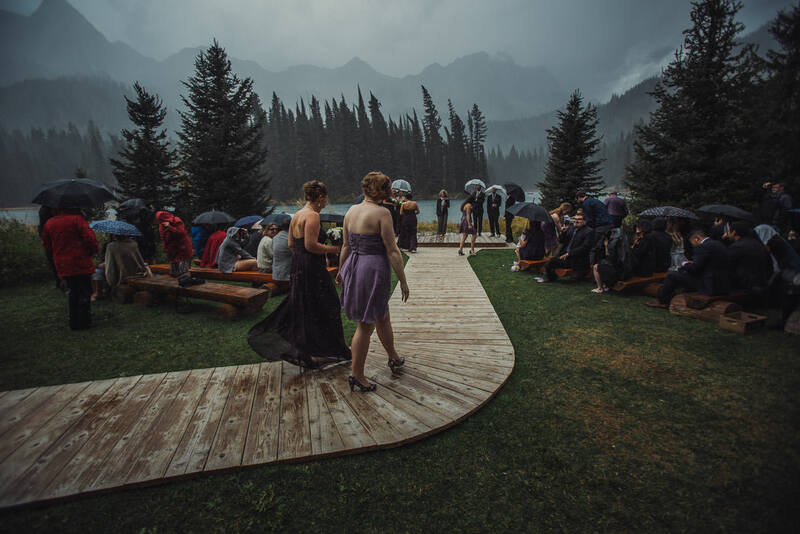 So fast and furious was the downpour that even though the ceremony had already begun, the officiant was looking to stop the proceedings – except, the bride was already in the canoe, and on her way. 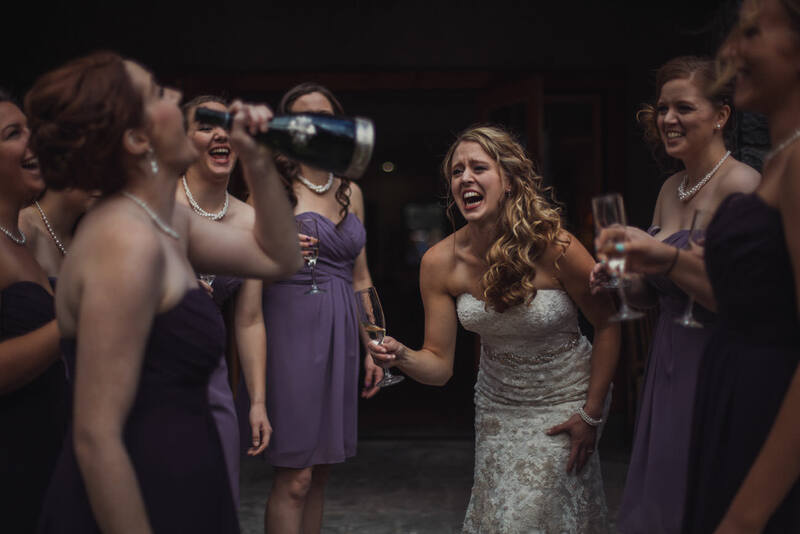 No turning back now. 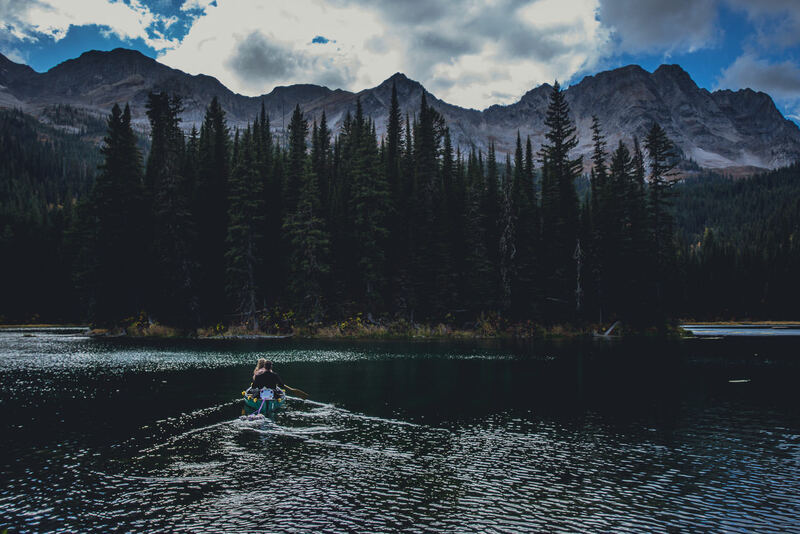 Borrowing a jacket from an unknown hiker, Dani hopped into the canoe with her father and off they sailed. 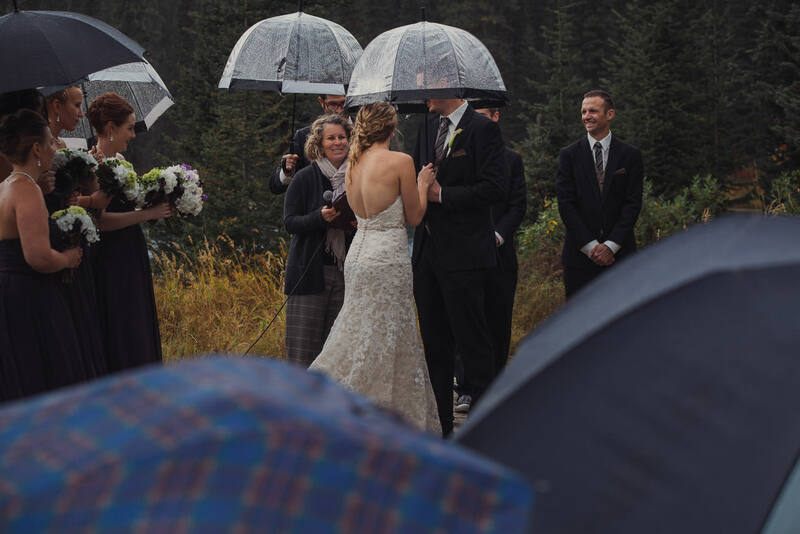 It was a fantastic moment, watching her arrive, wet and chilled and beaming from ear to ear. 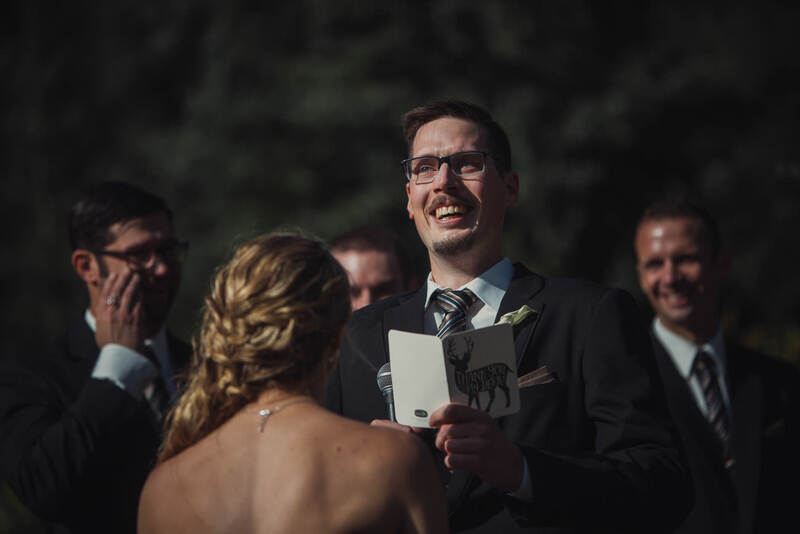 The story brightens up at this point. 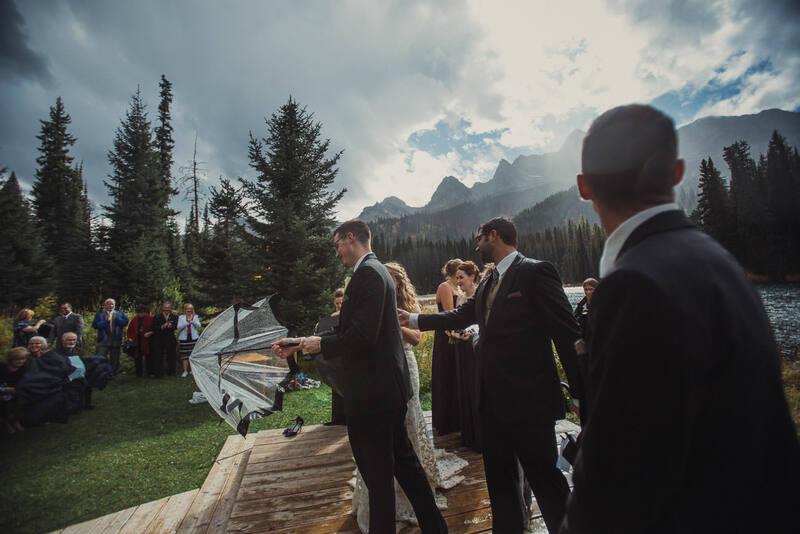 Midway through the ceremony, the rain subsided and the sun came out, drying our clothes and lifting even further our already soaring spirits. 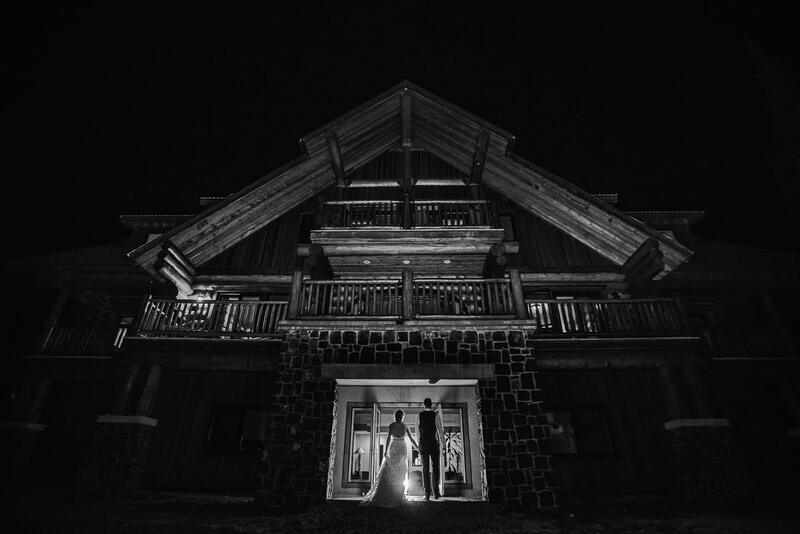 The weather held, we explored the mountains for their wedding photos, and returned to the lodge for an amazing evening of joy. 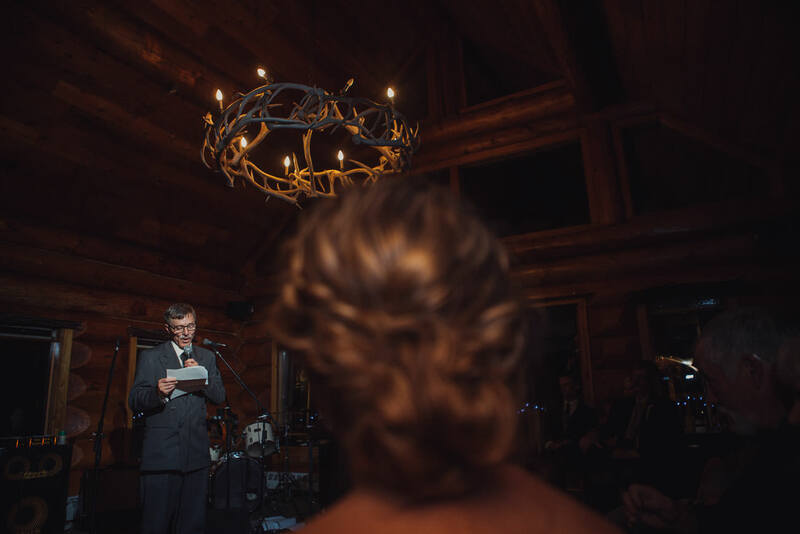 The speeches were heartfelt and funny, the venue was cozy and warm, and the party was outstanding thanks to the wonderful energy of the band, Mayday and the BeatCreeps. 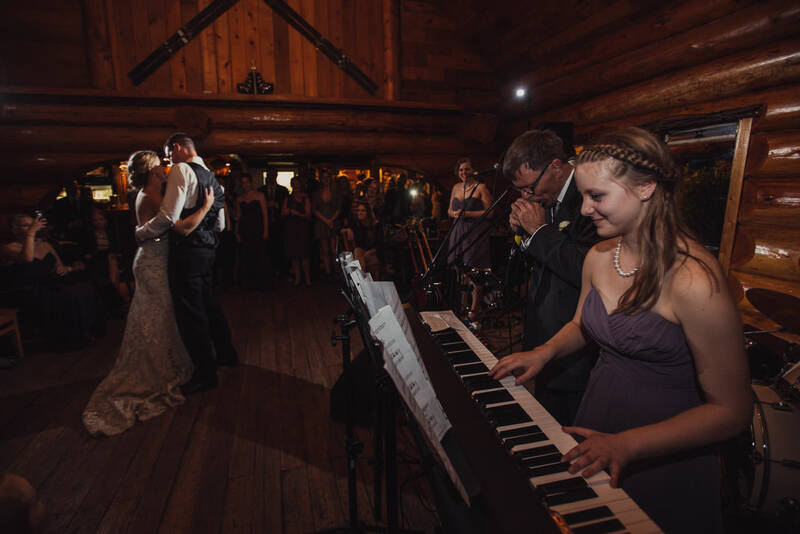 If you have ever considered hiring a band versue a dj, you really need to go check out these guys play live. 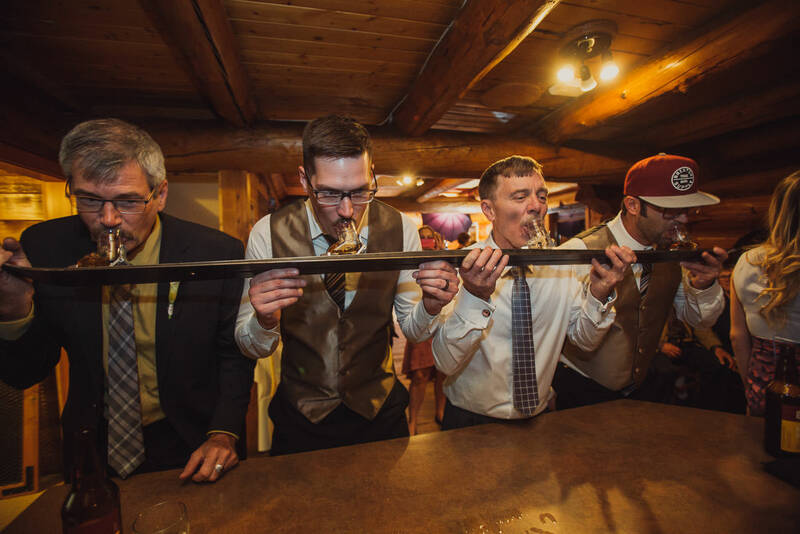 I’ve been to hundreds of weddings, and this was hands down the most energy I’ve ever seen at a wedding reception. 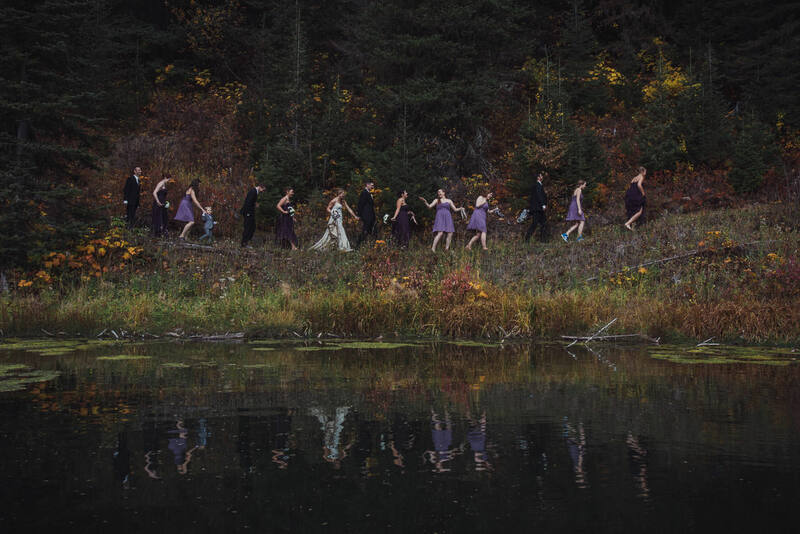 It was a fabulous way to end a fabulous day.